Are you wanting some last minute inspiration for a December wedding? Finding the perfect outfit for a winter wedding doesn’t have to be full of stresses. The only main thing to figure out is the colour pallet you are going to decide on, once you have got that it’s all smooth sailing. With winter weddings you picture things like frost, the brown and orange leaves on the floor, the brisk winter air. Are you starting some new year Hen Party Planning? When we mention all of these things there are a number of colours that come to mind. And of course you want to look formal and like you have made an effort, but not enough to distract the attention away from the main wedding party, that is always key. When it comes to wedding outfits everybody usually thinks of bright and floral patterns but that spring/summer vibe probably isn’t the type of look you will want to go for during the colder months. Instead of the pastels and the light florals think of a deeper and richer colour. You don’t need to just result in picking out a LBD (little black dress) for the occasion. You can still get creative, think of deep greens, maroons, navy, orange. If black is your vibe, then why not style it up by finding an outfit that has some sort of floral designs. That way you are taking an alternative route to your standard black outfit. If you have found the perfect wedding outfit but you need tothink of your accessories it may be a good idea to throw in some metallic items. As many of you might know, especially if you have been shopping in the high street recently, metallic is a huge trend and has been for the whole year! So adding a metallic bag would be a great staple in your outfit. 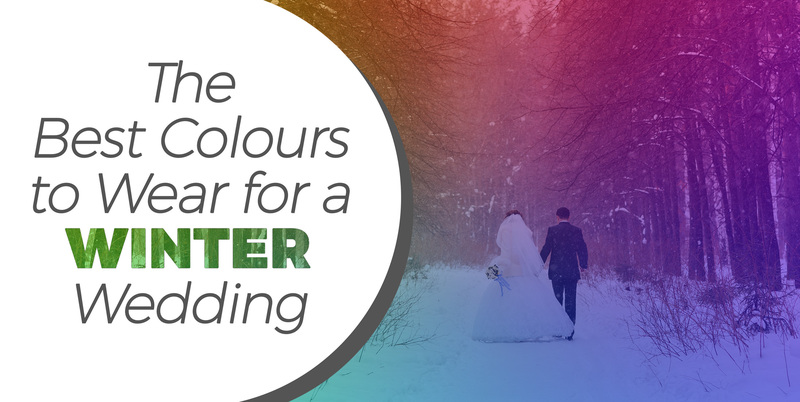 Overall, winter weddings are actually a lot easier to dress for than you think! Just add a warmer approach to your thinking as you choose your outfit for this time of year and then we are sure you’ll be good to go!